For most small sheds, garages or carports, erection can be a weekend or couple of days challenge depending on the ‘hired help’. Although there are a number of fiddly parts, you really do need a minimum of two people, particularly with safety in mind, but it’s not an overly complicated job. For large sheds, though, it’s a different story. If you are a skilled DIYer or tradie who has experience in all parts of the job from forming concrete (if necessary) to erecting heavy structures and finishing to required specifications, then it might just be a bigger than usual challenge. Depending on whether or not you will need to be managing other tradespeople and how many capable bodies you can call on to help you, it can be a manageable job to put up anything from a garage to a large work shed. If you and your tool kit are more comfortable at the assembling IKEA end of DIY, though, a large shed could be an over-reach, and it will be a better bet to have your Accredited Ranbuild dealer quote on a supply and install basis. Any extra costs for installation will probably be offset by not needing physio for your back. Not only are large sheds technically more difficult, but there are usually different legal obligations once your shed is worth more than a certain amount. There are specific owner-builder requirements in each state. Queensland, NSW and the ACT require that you complete an owner-builder course, while in other states this is suggested as a helpful option. In addition to doing or managing all the actual work, owner-builders take on the whole legal responsibility as well. This means that in addition to always using a licensed plumber and electrician, there are a number of scheduled areas in each state where you may be required to use licensed contractors depending on the value of the work. It will be up to you to know these. There are stiff penalties to infringing the laws surrounding building, as well as the costs of rectifying mistakes, taking out insurances and paying for compliance inspections where necessary. For this reason, it is very important that you not take on the responsibility of being an owner-builder unless you are in a position to control the work. Some shed companies have been known to ask clients to sign off as owner-builders on work done by the company, leaving the client with all the legal headaches and little recourse for shoddy work. Stick to reputable firms like Ranbuild. 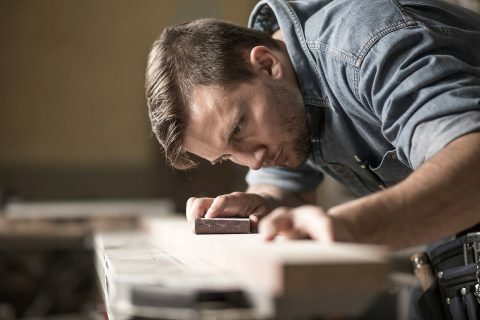 Becoming an owner-builder is only recommended to people who have project management experience, good DIY skills, the ability to spend a lot of time on the project, and who – according to most experts – are either single or in a rock-solid relationship, as it will usually require more time and energy than you or your family imagine at the outset.